We have struggled quite a bit these past four months without releases… but we’re back! Instead of aiming to do a release each week, we’ll do a release every other week. That way we don’t burn out the staff. Today, we’re releasing another chapter of Mathematical Girls, Fermat’s Last Theorem, and the usual Doraemon! Enjoy the releases today. Hopefully we’ll be able to some other chapters soon enough! As always, we’re recruiting! Check out this page here to learn more about how to join us. Don’t forget to stop by the forum, chat with the staff, and leave a comment if you liked the release! A huge thanks to all of the staff that worked on the releases this week! Congratulations to NightOwl for participating in their first release :) Have a great week, everyone! By flowersofmoe September 24, 2016 November 6, 2017 Hakaiou Noritaka!, Mathematical Girls, Releases, Song of the Doll, T.R.A.P. Happy Saturday! We wish that we could have released this on our usual Friday, but we had some personal issues. Well, today you’re in for a treat! We’re releasing four chapters: Mathematical Girls – Fermat’s Last Theorem, Song of the Doll (a new joint with our friends at MRS), TRAP, and Hakaiou Noritaka. Enjoy today’s chapters. 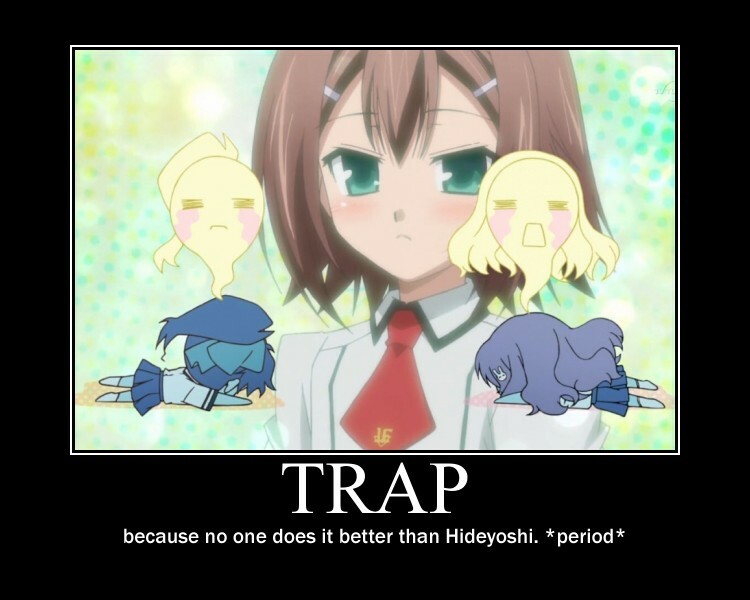 Note that today’s chapter of TRAP is a re-release due to some mistakes. As always, we’re recruiting! Check out our recruitment page here. We especially need translators. Don’t forget to stop by the forum and chat with the staff, and leave a comment if you liked the release! A huge thanks to all the staff (and there were a lot) who worked on these chapters today! Have a great weekend, everyone! Today we have two new chapters for you today! One’s from Math Girls – Fermat’s Last Theorem, and the other’s from Hell Teacher Nube. Let the women in these chapters inspire you to either 1) do math or 2) ruin your crush’s date! We’re always recruiting! Visit our recruitment page to learn how to join us. We especially need Japanese and Chinese translators. Even if you don’t think your skills are perfect, we’ll help you get there! Don’t forget to stop by the forum, chat with our staff, and leave a comment if you liked the release! Finally, we’re going to begin modernizing our projects. Stay tuned in the next couple of months for newer, fun(ner) series! A huge thanks this week to all the staff who worked on today’s chapters. Have a good weekend everyone, and stay safe! By flowersofmoe June 20, 2016 July 8, 2016 Full Ahead! Coco, Mathematical Girls, Releases, T.R.A.P. We’re always recruiting! We especially need cleaners and translators. Check out this page to learn how to join us. Also, don’t forget to stop by the forum, chat with the staff, and leave a comment if you liked the release! A huge thanks this week to the staff from MRS, Norway Scan, Eastern Atelier, DK Thias Scanlations, and our very own Shally for working on this week’s releases! Have a good week, everyone! And happy first day of summer! First of all, props to those who get the title! Today, I’ll KISS for y’all. We’re releasing the last chapter of Mathematical Girls – Godel’s Incompleteness Theorems. Woohoo! We’re also releasing a chapter of Hell Teacher Nube, our joint with Blast Comic Scans. As usual, we’re always recruiting. Click here to learn more. Don’t forget to browse the forum, chat with the staff, and leave a comment if you liked the release! A huge thanks this week to DKThias, Volandum, Shougei, Shally, Harllama, and IriaKitsune for working on today’s releases! Have a good weekend, everyone! Hope y’all are having a great weekend! Over here, it’s rainy, but that’s good for us. Anyway, as you can probably guess, we’re releasing Renchi na Himoto and Mathematical Girls – Fermat’s Last Theorem! As always, we’re recruiting. We especially need a translator for Hakaiou Noritaka (raws available in French, Japanese, and Chinese) and Bowling King (Chinese). If you’re interested or know anyone who can help, please click here to learn more. Don’t forget to stop by the forum, visit our chatango, and leave a comment if you liked the release! A huge thanks this week to Saiyaku, DKThias, Recongriffin, Volandum, vhirx, C-Poh!, Jehsi, Fishiiie, and Harllama! Hope to see you guys next week! And a final question: Did you guys like Noodles Scans? Forgive me for today’s release title. I was asking someone else to help me, and all they could say was “Oh my gawd”. And thus I thought of Oh My Dog. Today we’re releasing Mathematical Girls — Fermat’s Last Theorem, and Black Dog (in case you haven’t already guessed from the title)! Fermat’s Last Theorem, in case any of you have forgotten, is a continuation of the Mathematical Girls series. This time, we’re doing this joint with Eastern Atelier, DKThias Scanlation, and Norway Scan. Check out their websites! We’re always recruiting! Visit our recruitment page to learn more. Also, don’t forget to stop by the forum, chat with the staff, and leave a comment if you liked the release! A huge thanks this week to Schombert, RadioactiveKitty, Yokoai, Jehsi, Eruchan, Saiyaku, Recongriffin, DKThias, Volandum, and Harllama for today’s release. Have a refreshing weekend, everyone! Today is a special day, as we’re releasing the first chapter of Mathematical Girls — Fermat’s Last Theorem! It’s a continuation of the Mathematical Girls series. This time, we’re doing this joint with Eastern Atelier, DKThias Scanlation, and Norway Scan. Check out their websites! A huge thanks this week to Saiyaku, Recongriffin, DKThias, Volandum, and Harllama for today’s release. Have a refreshing weekend, everyone! As you can guess, we’re releasing Mathematical Girls today! But not only that, we’re releasing Good Robot (our joint with Silent Sky), too. Both of these projects have been neglected for some time, so we’re happy that they’re finally being released. The title of today’s release could then be “STEM Monday”, but “Mathematical Monday” works better. This time, before our usual recruitment announcement, we have a special recruitment notice. We plan to work on Mathematical Girls: Fermat’s Last Theorem with Norway Scan, DKThias Scanlations, and Eastern Atelier, and we need a typesetter. If you’re interested, contact any one of the groups! And, as all of you know by now, we’re always recruiting! We especially need editors and translators (either Japanese, Chinese, French, or Vietnamese). Visit our recruitment page to learn more. And don’t forget to stop by the forum, chat with the staff, and leave a comment if you liked the release! A large thanks to DKThias, Saiyaku, Volandum, Eva, Captain Crunch, Harllama (our wonderful release administrator) and the staff from Silent Sky for working on today’s releases. Today also marks the birthday of one of our founders, CNGaile. Wish her a very happy birthday in the comments! Okay, I know that it’s been a long post, but I am done. Hope to see all of you soon! Happy Birthday to the Hime! I’ll try and keep it short(er) because I have a good amount of homework to do tonight. First of all, a late happy birthday to our one and only Hime! Her birthday was on the 31st of August. If you want to learn more about our Hime, please check her page here. We’re releasing three new chapters today, and a chapter of Doraemon and Full Ahead! Coco each will be re-released tomorrow. The reason that the release has been split into two is because we need more people to help. Hint hint: this is where you come in, dear reader. Learn more here. As for today, we have new chapters of Black Dog, Baka to Test to Shoukanjuu, and Mathematical Girls. Something else that you (yes, you) can do for us is to visit our chat and forum and leave comments if you liked the release. Please let us know if there are any issues with the chapters, such as missing pages or translations and such.